In many traditionally Christian societies, side by side with radiant examples of fidelity to the Lord Jesus Christ, we see a gradual dimming of the light of faith, which no longer inspires the choices of individuals and public policies. Contempt for the dignity of the human person, the idolatry of money, the spread of violence, a totalizing view of science and technology, the reckless exploitation of natural resources: these are only a few of the grave signs of a tragic reality to which we must not resign ourselves. 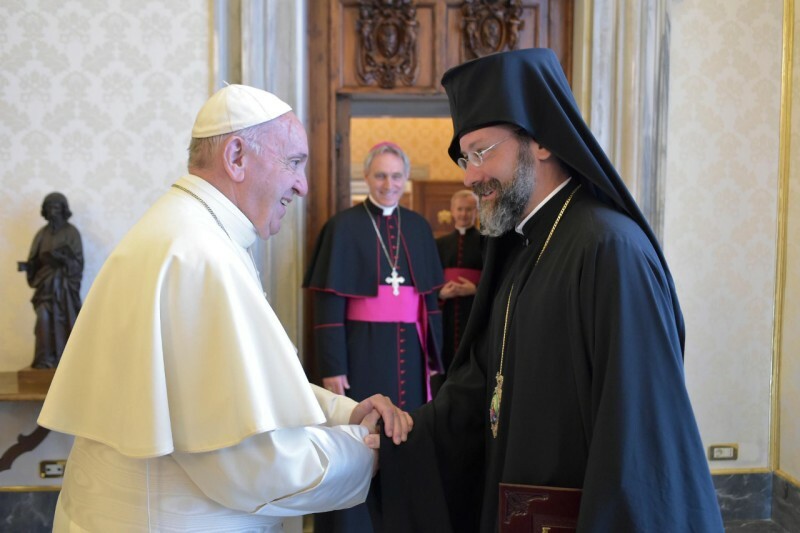 I agree fully with the words spoken by Ecumenical Patriarch Bartholomew during his recent visit to Rome to take part in the International Conference on “New Policies and Life-Styles in the Digital Age”: “We reject the cynical phrase ‘there is no alternative’… It is unacceptable for the alternative forms of development and the strength of social solidarity and justice to be ignored and slandered. Our Churches can create new possibilities of transformation for our world. In fact, the Church itself is an event of transformation, of sharing, of love and of openness... In our Churches we experience the blessed certainty that the future does not belong to ‘having’ but to ‘being’, not to ‘pleonexia’ but to ‘sharing’, not to selfishness but to communion – nor does it belong to division but to love”.